Steven Torres, a partner at Torres, Scammon & Day, LLP, was named President of the Chartered Property Casualty Underwriters (CPCU) Society Boston Chapter. His term runs from January 2016 to January 2017. Steve served as President-Elect and Vice President of the Boston Chapter from 2014 to 2016. He has been a member of the Boston Chapter board of directors since June 2010. Steve obtained the insurance industry’s prestigious CPCU designation in 2008 and also obtained his Associate in Claims (AIC) designation in 1994. With nearly 25 years of experience with the insurance industry, Steve advises clients in all facets of insurance and reinsurance matters. 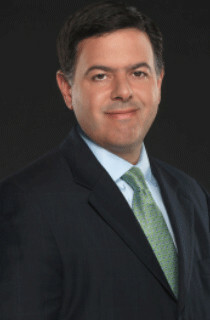 His experience includes counseling clients on the application of insurance policies and reinsurance contracts and litigating insurance/reinsurance disputes through both court proceedings and arbitration. Steve also advises clients with respect to placing insurance coverage and on insurance regulatory matters, guiding carriers in establishing their reinsurance programs, and representing clients in administrative proceedings before state divisions of insurance.